Mind Blowing of next Legendary Skin - General Discussion - Mobile Legends: Bang Bang - Powered by Discuz! First Clue: Handsome. She is Trap. Change your diapers before you leak too much. I can't believe its Lesley. So far only oldest hero from each category got legendary skin. Like oldest assassin saber/oldest mm miya, oldest mage gord, oldest fighter alucard. Next should be oldest tank or oldest Support. I don't think all skin release based on role cause Tank and Support role lack Starlight Star. It same goes to Legendary skin. Mostly skin release because their popularity even that heroes already old. (Except for 5 member team skin eg SABER and VENOM rn) And all free skin given to less popular heroes. Random Community: Lesley doesn't deserve to get Lesley skin. Too weird. Random Community: Cause She is a female but her skin said "handsome demon hunter". She not a trap. Dev: Am i a joke to you. Me: I see. That was genderswap Lesley skin. Dev: Nope. That is another Alucard skin, impersonate to become Lesley but holding Moskov spear. sounds like moskov since he use spear and can be handsome. 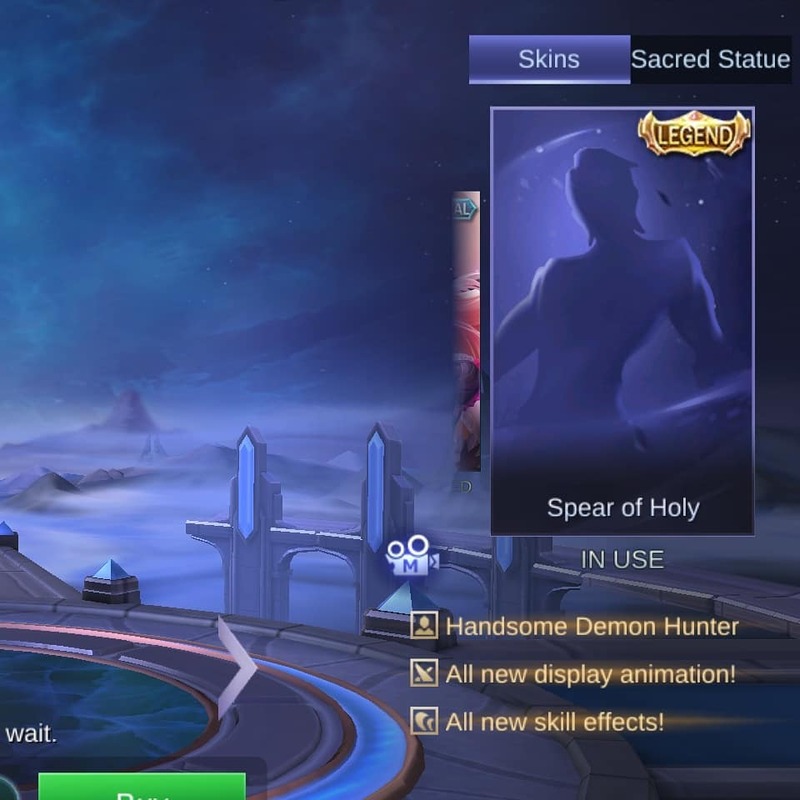 Didn't know Moonton can make genderbent skins too.